I drive past Crumland Farms everyday, and it is really amazing how much they do on their property that doesn’t have anything to do with farming. Given the state of farming and how difficult it is to live on farming alone, you have to hand it to them for thinking outside the box and making the most of their land. For instance, at this time, there are at least 4 special events being hosted on this farm this month. 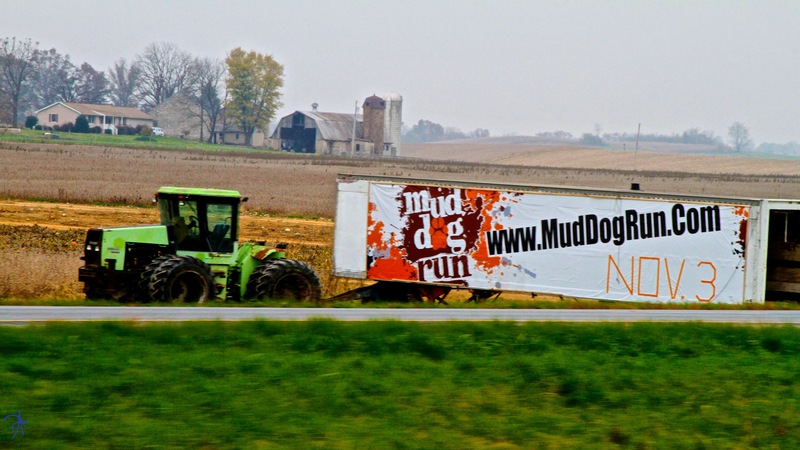 The following is taken straight from the mud dog website: The mud dog run is a 5K course that will have over 16 obstacles ranging from mud pits, cargo nets, climbing walls and other grueling obstacles to have fun running though and over. The spin is that there will be Zombies all over the course and at obstacles trying to pull flags off the runners. The object is to finish the run with at least one or more flags to stay alive at the end. If the runner at any point during the run does not have any flags left, they become a Zombie. Upon finishing the Zombie infested run, participants will be welcome to join the End of the World party to have some great food, drink Flying Dog beer and listen to multiple bands and DJs with over 8 hours of music! You will not want to miss this!!! Now this sounds more like it! October 25, 2012.